I have sometimes jokingly complained that Boston discriminates against cats. There are a number of dog parks in the city, and dogs are welcomed on the patios of numerous restaurants. The Bring Fido site claims there are 70 Boston restaurants that allow dogs onto their patios. However, you won't find a single cat park or any restaurant telling patrons that they can bring their cats to their patios. Dogs seem to get all the love and attention, and that doesn't seem fair. There might be a positive change in the near future, with the potential opening of the first Cat Café in Boston. At a cat café, you can get food and drink while watching and interacting with a number of cats owned by the café. Think of it kind of as an adult petting zoo. You can't bring your own cats to the café, but you can pet and play with those that are there. Though Japan is well known for its cat cafés, the first one actually opened in Taiwan in 1998. Cat cafes didn't open in Japan until 2004, the first one located in Osaka. Today, there may be as many as 100 cat cafés in Tokyo alone, some that specialize in certain types of cats, from black cats to fat cats. Customers generally pay an hourly fee to remain at the café, with extra costs for any food and drink. Though you might have concerns with hygiene, the Japanese, who are are fastidious about cleanliness, have little issue with these cafés. Generally, everyone entering the café must first wash their hands or use a hand sanitizer. The café also have numerous air fresheners, conceal the litter boxes and frequently use vacuums to pick up cat hair. Japanese law also has strict cleanliness requirements for these establishments. Boston should pay attentiion! Cat cafés are popular in Japan because many apartments forbid pets, and others are too busy to take care of a pet. These cafés are also a way to provide some comfort for those who are stressed or lonely. Beside cat cafés, you will also find rabbit cafés, and there might now be even a few other types of pet cafés. The cats are protected from abuse by the patrons, with strict rules on not bothering or tormenting the cats, especially if they are sleeping. The idea of cat cafés has begun to spread out of Asia and the first one that opened in Europe was Cafe Neko in Vienna, Austria. There is now a cat café in Germany, Cafe Katzentempel, and another in the UK, Totnes Cat Café, Another cat café, Lady Dinah's Cat Emporium, is planned to open in London in the near future and others in Europe are also in the planning stages. And Boston might be the site of a future cat café. Miaou Boston (also on Facebook and Twitter) hopes to be the first cat café in Boston, planning to keep shelter cats in their establishment. Their biggest initial hurdle is dealing with the state's health code which essentially prohibits animals from being on the premises of a food establishment. Fortunately, you can apply for a variance from the local board of health in the city where you are seeking to locate your café. Once Miaou overcomes that hurdle, they plan on creating a Kickstarter to finance the café. With all of these necessary steps, any such cat café probably wouldn't be open until sometime in 2014 at least. Maybe they could plan to open on February 22, which in Japan is Neko no Hi ("Cat Day"), a holiday established in 1987 by the Japan Pet Food Association. If Boston denies their application for a variance, they could always then try another city, such as Cambridge or Somerville, to see if they can get a variance. They might actually have more luck in one of those communities rather than Boston proper. The primary concern would appear to be one of hygiene and if such concerns are properly addressed, I don't believe then it should be a sufficient barrier to deny such a variance. If a country such as Japan, which is far more obsessed with cleanliness than the U.S., can allow cat cafés, then why not us? Other countries are allowing cat cafés too, so why should the U.S. be the only holdout? Dogs are already permitted at numerous local restaurants, albeit on patios, but that still is a potential hygiene issue and few seemed bothered by it. And I don't see many patios that also have hand sanitizers. Having cats in a café is a step beyond dogs on a patio, but it shouldn't be insurmountable. You just need to take added precautions to maintain cleanliness. And with cats being smaller than most dogs, the hygiene issues may actually be lesser. You should also consider how many people own cats and invite people over to their homes for dinner. Do the guests often worry about hygiene issues with the food because the home owner possesses cats? I don't think that concern arises too often. I don't know anyone who has ever mentioned refusing to dine at someone's house because they own cats. Obviously, strict regulations concerning hygiene should be required for the operation of a cat café, but there is no concern that cannot be addressed. With the great popularity of cats, this is an idea whose time has come so rather than fight it, why not think of ways to make it happen. Dog lovers already have plenty of places for themselves, so it is time to give cat lovers a place of their own. Throw your support behind the establishment of a cat café. 1) Chef Paul Turano, owner of Tryst in Arlington, MA, recently opened Cook, an American Bistro style restaurant. Now, on Saturday, September 21, they will open for Brunch, and will then be open every Saturday and Sunday, from 10:30am-2:30pm, for brunch. The brunch menu is separated into 5 different categories. Most of the traditional breakfast options are located under the Hot section. Some of the dishes include French Toast on sweet Portuguese bread topped with fresh berries ($11), Eggs Benedict ($15) and Veggie Benne ($12) both made with poached eggs and a smoked tomato hollandaise sauce, and a Southwestern Omelet ($11) comprised of ham, corn salsa, avocado and cheddar cheese. There are also plenty of lunch options available. From the Grilled section of the menu, Grilled Cheese ($12) made with tomato, herbs and greens, a Burger ($13) with cheddar cheese, pickles and fries, or a Tuna Flatbread ($16) complete with a spicy aioli sauce. From the Wood Fired section, a Soppressata Flatbread with provolone and tomato conserve ($14), a Vegetarian Pita ($11), or a Tomato and Mozzarella ($12) topped with basil and evoo, all of which are available on gluten-free crusts. Lobster Sliders ($6 each), Kale Salad ($10), and Cobb Salad ($15) can be found in the Cold section of the menu, along with other vegetarian and gluten-free options. Customers can also order any additional breakfast options with their meals from the Sides section of the menu. Some of these sides include a Berry Parfait ($6), Hash ($7), an English Muffin or Toast ($4), Bacon or Sausage ($4), Brunch Potatoes ($6), and Fries ($6). 2) Things are heating up at Shanti restaurant as it hosts the second annual Xtreme Vindaloo Challenge at its Dorchester location. Throughout the entire month of October, Shanti is challenging guests to finish a plate covered in the fiery, unbelievably spicy Vindaloo sauce made of red chilies, Thai bird chili, jalapenos, Kashmiri chili powder, black peppercorn, onions, garlic, Garam and Chat masala and ginger. Guests that take part in the Xtreme Vindaloo Challenge will have their choice of beef, chicken, lamb, goat or shrimp which will be topped with the fiery sauce, but all daredevils will be required to sign a waiver prior to biting in. If challengers are successful in finishing the dish, the Xtreme Vindaloo dish & the next entree is on the house. Shanti, an Indian style restaurant that prides itself on tradition, is no stranger to spices and intense flavor. Their usual entrees might be hot, but this dish takes it to the next level as it brings the heat. Vindaloo is a sauce that is typically found in Indian curry meat dishes and has a reputation for being the hottest item on the menu. Shanti’s Chef Pokhrel will be preparing sizzling Vindaloo dishes of the guest’s choosing. Those who beat the challenge will earn bragging rights and the pleasure of calling themselves: winner of the Xtreme Vindaloo Challenge. 3) On Wednesday, October 2, join The Beehive for “Oktoberfest Der Beehive,” an evening highlighting rustic German food and libations, as well as entertainment by the Octoberfest German Band. Revel in official Oktoberfest festivities with The Beehive as Harpoon Brewery rolls out the barrel to have a barrel of fun! Pass a mug of ice cold Harpoon Beer including Harpoon IPA, and Octoberfest as you enjoy the evening with The Beehive’s traditional Bavarian & German menu specials such as: German Sausages and House Roast Pork Knuckle both served with Sauerkraut and potatoes. Not in the mood for dinner? Join the Beehive at 8pm when the Octoberfest German Band takes the stage and enjoy your ice cold beer with The Beehive's oven fresh pretzels. Dust off your Dirndl and lederhosen and come celebrate! WHEN: Wednesday, October 2nd, 2013, live music from 8pm-12am, Food and drink from 5pm-2am. COST: No cover charge, cash bar. Dinner reservations recommended. 4) This year Champagne Day is October 25. Wine lovers worldwide will raise a flute to that quintessential wine of celebration, good cheer, and toasts everywhere: Champagne. The annual event encourages the celebration of this truly unique wine that can only come from the Champagne region in France. Consumers from around the world are encouraged to participate in the celebration of Champagne and raise awareness about the need to protect the Champagne name. Participating is easy. Consumers can join Champagne Day online by blogging, tweeting, posting and sharing their thoughts by using the #ChampagneDay hashtag. Or, they can host or join one of the numerous retail and restaurant tastings that are being planned in locations across the United States. To stay up-to-date on the most current news regarding Champagne Day or to register an event, visit http://bit.ly/19EIh4L. As part of the celebration, the Champagne Bureau, USA, is once again hosting a contest to recognize authentic Champagne and will give away a new iPad mini to one lucky winner. Contestants are encouraged to send an original photograph or video completing the sentence “Champagne is. . .” All entries must exclusively showcase authentic Champagne and support the sentiment expressed in the statement: "Champagne only comes from Champagne, France." Entries that do not feature a Champagne bottle or label will be accepted as long as authentic Champagne is featured. One Grand Prize winner will be selected randomly on October 23 and receive a new iPad mini. The winner will be announced on October 25, Champagne Day. Complete contest rules are available at www.champagneis.com. Contest entrants may submit multiple entries to increase their chances of winning. All entries must be unique, as duplicate entries will not be considered. For more information about this contest, please visit www.champagneis.com. For more information about Champagne Day or the worldwide effort to protect the Champagne name and origin, please visit http://bit.ly/19EIh4L or www.champagne.us. Peruse a restaurant dinner menu and your entree choices may include chicken, pork, beef, seafood and more. Which do you select for dinner? The succulent roast chicken, the hearty pork chop or the seared scallops? You might suspect that the decision is primarily based on which entree is most enticing to you that evening, however there is another important factor which probably doesn't receive enough attention. In fact, many restaurants may not realize, and should, the value of this other relevant factor. Think about some of the last times that you visited a restaurant. When you viewed the menu, did the accompanying side dishes of an entree play a part in your decision to opt for that entree? I will admit that it has happened to me before, and I have also decided against certain entrees because I didn't like the accompanying sides. I even had a brief discussion about this matter this past week while dining out with some new friends. I am far from alone in my views on sides. Technomic Inc. has published a new survey report, The Starters, Small Plates & Sides Consumer Trend Report, which details the importance of side dishes in consumer's choice of entree. 36% of consumers stated they selected an entree based upon the accompanying sides, and 46% stated they were less likely to order an entree if it came with an accompanying side they disliked. In addition, about 45% of consumers prefer familiar sides over unfamiliar sides. Sides can make or break an entree. These statistics point to the importance of sides, and restaurant owners and chefs need to pay attention. They might be more concentrated on their entrees without considering how the sides might affect consumer choices. They shouldn't just be an after thought and as much attention should be given to side dishes as entrees. Poor side dish choices could be a reason why an otherwise compelling entree is not as popular as much as expected. And good side dish selection might sell an entree which normally wouldn't be as popular. 1) On Wednesday, September 25, The Beehive will continue its popular tribute series with an evening dedicated to the “Empress of Blues,” Bessie Smith. From 8pm-12am, Nadia Washington and friends will give a live performance honoring some of Smith’s most iconic work. Referred to as one of the greatest blues singers of all time, Bessie Smith brought an unparalleled emotional intensity, expression and artistry to her performances. Her first recording, “Down-Hearted Blues,” established her as the most successful black performing artist of her time and from there she recorded with some of the most important jazz instrumentalists of the time including Charlie Green, Joe Smith, Tommy Ladnier and most notably Louis Armstrong. Smith’s wide, expressive range, interpretation and delivery established her as one of the most important blues and jazz vocalists of all time. Nadia Washington and her band will play a unique fusion of contemporary jazz and soul. Washington, whose voice is described as “soulful,” “thrilling” and “beautiful,” is among the prominent artists that connect the lines between music’s heart and soul, much like Smith. A graduate of Berklee College of Music, Nadia has toured the East Coast playing with the likes of Kenny Barron and several ensembles including Terri Lyne Carrington, Greg Osby and Ralph Peterson Ensemble. For dinner reservations or for more information please call 617-423-0069. 2) Culinary Chair William Kovel of Catalyst has gathered celebrated chef friends from Boston and New Hampshire to lead a week long public awareness and fundraising project, Food For Thought. Starting on September 21 (Alzheimer Action Day) until September 29, the participating chefs will offer a special appetizer and donate the proceeds to the Alzheimer’s Association, MA/NH Chapter to benefit programs and research. 3) Boston area food lovers may be familiar with Chef Paul Turano’s restaurant Tryst, located in Arlington and now Chef Turano's newest venture, Cook, opened Saturday, September 14. The new 80-seat restaurant located at 825 Washington Street in Newton is themed to be a neighborhood restaurant highlighting several different ways to enjoy a meal. From a lighthearted “snacks” section that highlights items such as a house made pretzel ($3), caramel-bacon popcorn ($5) and sweet and spicy peanuts ($5), to starters such as a bag of clams with ramp tartar, salt and corn chow chow ($13), Vietnamese glazed pork ribs with pickled carrots ($12) and Udon noodles with peanuts and ponzu ($10) to mains such as bacon wrapped trout with a lobster & cornbread stuffing with toasted almonds ($23) and braised eggplant with house-made cavatelli, fresh ricotta, basil and tomato ($18), there is something for everyone. The restaurant also has a wood-fired stove with nine bar seats where guests can sit and order items directly from the chef, including various flatbreads and wood-roasted bites, while watching them be made. The 15-seat bar will host a from-scratch cocktail program, five rotating beers on tap, over 25 canned and bottled beers, and an extensive wine list featuring by the glass and bottle options as well as two draft wines. Cook will serve dinner seven days a week and will launch its first brunch Saturday, September 21, and will be open for brunch on both Saturday and Sundays moving forward from 10:30am-2:30pm. Lunch service will launch October 1 and will be served Monday – Friday from 11:30am-3:30pm..
4) On Sunday, October 6, from 4 - 7 p.m., Chefs Collaborative, a nonprofit network of chefs that’s changing the sustainable food landscape using the power of connections, education and responsible buying decisions, is assembling some of Rhode Island’s best “farm-to-fork” chefs to promote awareness of local and sustainable ingredients available in the Ocean State. The BBQ will be held at one of the most beautiful farm locations in the state—Schartner Farms private picturesque pond in Exeter. Cocktails are to be provided by The Avery in Providence and Berkshire Mountain Distillers with M.S. Walker. Wine will be provided by local vintners Newport Vineyards in Middletown, Jonathan Edwards Winery in North Stonington, Connecticut and via Wine Wizards: Greenvale Vineyards, Stonington Vineyards and Farnum Hill Cider. Revival Brewing Company of Providence and Grey Sail Brewing Company of Westerly will be offering beer selections. The Rhode Island BBQ is a chance for some of Rhode Island’s most talented chefs to showcase the bounty of the season, from the farms, pastures and coastal waters of Rhode Island. Proceeds from this barbecue help to fund the important work that Chefs Collaborative is doing, both in Rhode Island and across the country, in their mission to make sustainability second nature in the professional kitchen. Additionally, a portion of the proceeds help to fund a scholarship to send Rhode Island chefs to the Chefs Collaborative Sustainable Food Summit. The event is family-oriented and is held rain or shine. While there is some limited seating, guests are encouraged to bring their own blankets or chairs to sit on. Beer, wine and cocktails are included in the ticket price, but please bring any non-alcoholic beverages that you might need for yourselves or your little ones. The event is $65/adults, $25/children ages 8-18, children under 8 are free. Tickets include all the food and beverage offerings and can be purchased online at http://www.chefscollaborative.org/events/rhode-island-bbq/. Last Friday evening, a couple drinking companions and I had the delightful opportunity to taste six Franciacorta wines as part of a Twitter tasting arranged by Balzac Communications. Above, you can see a relief map of the Franciacorta region, which I gave a seat at the table during the tasting, to add some atmosphere to the tasting. You can check out some basic information about the region and its sparkling wines in my prior Franciacorta post. The six Franciacorta wines each possesses their own unique aromas and taste, though they possessed some commonalities as well. You won't confuse these with Prosecco or Asti Spumante, though you could with some Champagnes. They most reminded me of Grower Champagnes, and not the basic House Champagnes. These were serious sparkling wines, sure to bring enjoyment to the palate of most wine lovers. All of the Franciacorta possessed tiny bubbles, no frog's eyes here, and they all were delicious in their own ways. Priced from $25-$37, these wines also present a good value, and it would be difficult to find Champagne of comparable quality at those prices. Locally, Franciacorta is tough to find, though there are a number available through local distributors so you could ask your favorite wine shop to order you some. You won't be disappointed. Prior to the official start of the tasting, I dined on some spicy Chicken Vindaloo and sampled some of the Franciacorta with my dinner. The pairing worked for me, the Franciacorta helping to battle against the heat of the dish. During the tasting, we broke out some caviar (pictured above) and cheese. The organic Canadian caviar, decadent and briny, made a killer pairing with the various Franciacorta wines. Champagne & caviar has long been considered an excellent pairing, and the Franciacorta didn't disappoint in the least. This is a moan-inducing match, well worth the splurge. Franciacorta is food friendly and I would love to try it with a Risotto alla Milanese, which is also from the Lombardy region. Maybe the next time I make a Risotto, I'll pair it with some Franciacorta. Franciacorta and firearms? Yes, as the first wine in our line-up, the NV Lo Sparvierre Saten ($25), is from a winery that is owned by a famous firearms manufacturing company, Fabbrica d'Armi Pietro Beretta. The Beretta company was established back in 1526 and is currently owned and operated by Ugo Gussalli Beretta and his sons, Franco and Pietro. They also own three wineries, under the umbrella of Agricole Gussalli Beretta, including ones in Abruzzo and Chianti Classico. The Lo Sparvierre estate consists of about 150 hectares, 30 which are vineyards. The term "Sparvierre" means "sparrowhawk" and is on the coat of arms which was in the original 16th-century building on the estate. The NV Lo Sparvierre Saten is produced from 100% Chardonnay, from the youngest vineyards, and 80% was fermented in stainless steel and the other 20% was fermented in the barrel. It spent about 24 months sur lie, has an alcohol content of 13%, and an annual production of approximately 20,000 bottles.With a light gold color, the nose presents floral notes as well as hints of toast and citrus. The dry, silky texture gives way to delicious flavors of green apple and lemon, accented by a mild toastiness. A fine start to the tasting. The second wine of the evening was the NV Barone Pizzini Brut ($35), from a winery that was founded in 1870. It was the first winery in Franciacorta to adopt organic viticulture and in 2001, all their Franciacorta vineyards attained the organic certification. The vineyards cover a total surface area of 47 hectares (about 116 acres). In 2006, they constructed an eco-friendly winery and have been working at making another of their vineyards biodynamic. The NV Barone Pizzini Brut is produced from a blend of 90% Chardonnay and 10% Pinot Noir, which was fermented in stainless steel, spent about six months aging in stainless and has an alcohol content of 12%. It had a brighter gold color, and seemed to be a more intense and complex wine than the prior one. There was more toastiness, with bright flavors of apple and pear, and elements of minerality. The finish was longer as well, and in a blind tasting, people would be hard pressed not to think this is a Champagne. We moved on to the NV Montenisa Brut ($37), produced by a winery that was established in 1999, a joint endeavor between Marchesi Antinori and Conti Maggi. There are about 60 hectares of vineyards on the estate. The NV Montenisa Brut is a blend of Chardonnay, Pinot Bianco and a little percentage of Pinot Noir, with an alcohol content of 12.5%. It is fermented in both stainless steel and barrique, and remains sur lie for at least 30 months. The riddling is all done by using typical pupitres (trestle tables). After degorgement, the bottles are not released for another three months. This seemed to be a more fruit driven wine, with tasty notes of apples, melon, lemon and peaches, though there are still toasty notes complementing the fruit. Excellent acidity, a lengthy finish and plenty of complexity and depth. A bit more hedonistic than the prior two wines. Another winner from Franciacorta. The NV Ronco Calino Brut ($30) is from a winery founded in 1996 by Paolo Radici, an indutrialist seeking a quiet retreat. Paolo purchased an old estate that belonged to Arturo Benedetti Michelangeli, a famous pianist. They produce about 70-80 thousands bottles each year. The NV Ronco Calino Brut is a blend of 80% Chardonnay and 20% Pinot Noir, and 80% is fermented in stainless steel while the rest is fermented in French oak. The wine ages sur lie for at least twenty months before disgorgement. The nose presents lemons and floral notes, leading to a taste of lemon, pineapple, vanilla and hints of toast. Dry, crisp and refreshing. Quite tasty bubbly. The 2008 Fratelli Berlucchi Rosé ($27) is produced by the winery which brought sparkling wine to Franciacorta. Guido Berlucchi hired Franco Ziliani, a young enologist, to assist with his winery. Franco was full of enthusiasm and ideas, and desired to produce a sparkling wine. Guido allowed him to do so, and in 1961, they produced their first bubbly, Pinot di Franciacorta, which was also the first time that the term "Franciacorta" appeared on a wine label. The Rosé is produced from a blend of 70% Chardonnay and Pinot Blanc, with 30% Pinot Noir and an alcohol content of 12.5%. About 25,000 bottles are produced each year. Light pink in color, it possesses a nose of bright red fruits and hints of spice. On the palate, there are delicious and delicate taste of strawberry, cherry, and raspberry with toasty notes and a backbone of minerality. Like a fine Provence Rosé, this was a well balanced and compelling wine, with nice acidity, a long, satisfying finish and a subtle complexity. I loved this Rosé! In addition, I paired it with some Strawberry Pearls, and each liquid burst of a pearl, was enhanced by the delicious red fruit of the wine. My favorite wine of the night was the last one in the tasting, the 2007 Villa Franciacorta Brut ($35), an amazing vintage wine that is also an excellent value at the price. In 1960, Alessandro Bianchi purchased the hamlet of Villa, whose buildings date to the 16th century, and a hundred hectares of land surrounding it. Wine had been made in Villa for centuries, and Bianchi continued that tradition. The 2007 Villa Franciacorta Brut is a blend of 80% Chardonnay and 20% Pinot Noir, which was fermented in stainless steel and then aged in barriques. It was aged sur lie for at least 60 months, and is only produced in excellent vintages. This elegant sparkling wine is silky smooth, incredibly complex and possesses such a wonderful melange of flavors including apples, pears, toast, and spice. Well balanced, there are depths of flavor and a lengthy finish that you don't want to ever end. By the end of the evening, this bottle was empty, as my drinking companions also loved this Franciacorta. It receives my highest recommendation, and drinks like a wine at twice the price, if not more. These six examples of Franciacorta were all pleasing and show the high quality and taste that is produced in this region. This bubbly can compete with sparkling wine from anywhere in the world, and deserves far greater attention from wine lovers than it receives. And at these price points, they offer excellent value, making them more than just a splurge wine. Seek out these wines, broaden your palate and I am sure you'll find some new favorites. The Big Three, McDonald’s, Burger King and Wendy’s, make billions selling burgers. In 2012 in the U.S., McDonald's had sales of $35.59 billion, Burger King had sales of $8.94 billion and Wendy's had sales of $8.8 billion. Those totals do not include international sales. However, these three burger chains have fared poorly in customer satisfaction. So how the hell do they keep making billions? Empathica Inc. recently released the results of their 2013 Quick Service Restaurant (QSR) Benchmark Study which surveyed 10,000 U.S. consumers concerning the top 62 QSR brands. The study measured elements including food, order accuracy, the menu, speed of service, staff, value, cleanliness, and atmosphere. The results were also broken down to include region, gender, age and income. The results of this study are fascinating, and show that some of the largest burger chains aren't satisfying their customers. The study determined the QSR categories which were most visited by consumers: Burgers 60%, Sandwich 41%, Pizza/Pasta 33%, Chicken 30%, Snack/Coffee 26%, Mexican 24%, and Asian/Seafood 12%. So, more people seek out burgers for a quick and casual bite than any other type of food. I am surprised that Asian/Seafood was at the bottom, as I thought Chinese food, and other Asian cuisines, were more popular than that for a quick bite. The study also indicated that males made more visits (62%) to burger spots than females (58%). Plus individuals with lower incomes made more visits (63%) than those with higher incomes (59%). However, these difference are not too great. How do these places satisfy consumers? The study found that the satisfaction percentages for each type of QSR category is Sandwich 52%, Snacks/Coffee 51%, Mexican 49%, Chicken 48%, Pizza/Pasta 48%, Asian/Seafood 43%, and Burger 42%. Despite the popularity of burgers, they actually satisfy customers the least of these seven categories. What a contradiction! People often go to burger joints despite the fact they don't satisfy many people. In addition, only 38% of the customers of these burger spots, again the lowest amount, would recommend them to their friends. We can also see that QSR restaurants in general don't have high satisfaction rates, basically around 40%-50%. Every other customer is not satisfied with their meal yet they continue to patronize these places. Something seems wrong there. Would you continue to patronize a restaurant that only satisfied you 50% or less of the time? Though it would seem most of us would answer negatively, the fact these burger spots are hugely popular indicates most people really don't care. Other factors seems far more important than their satisfaction. The study also specifically looked at the satisfaction levels of particular burger chains, measuring them by the number of people who were "delighted" by their visits. The Big Three fared poorly, with Burger King actually finishing last among 16 chains. The top burger chain to satisfy consumers was In-N-Out Burger with 66% of their customers being "delighted." Five Guys Burgers & Fries came in second place, at 57%, and Whataburger at third place, at 49%. More than ten burger spots were rated better than Wendy's (34%), McDonald's (32%), and Burger King (29%). So, about two-thirds of the customers who visit the Big Three are not satisfied with their meals. So why do they keep patronizing these fast food burger joints? One of the main reasons that the Big Three remain so popular, despite the fact they satisfy consumers to such a small degree, is because children love those restaurants. In my prior post, Rant: Parents, Stop Spoiling Your Children!, I described how Tyler Cowen wrote that these burger spots market to children, and adults cater to their children's food desires and take them to those chains. Even if parents are not satisfied with the food at McDonald’s, Burger King and Wendy’s, they still take their children there and eat with them. Children won't stop eating there on their own so it is up to their parents to start bringing them to better restaurants. Is there brand loyalty involved with all those people eating at McDonald’s, Burger King and Wendy’s? Well, it is probably much more habitual buying than anything else. In another prior post, Rant: Wineries, Don't Assume It's Brand Loyalty, I explained that habitual buying is commonplace, and most people don't think about many of their regular purchases. I quoted a book that stated: "Research undertaken by Nielsen shows that customers who purchase a brand eight times have a 97% likelihood of buying the brand a ninth time." So, when people visit one of the Big Three enough times, then it can become such an ingrained habit that they are most likely to return there, despite the fact they are not very satisfied with their burger experience. The key to changing all of this, to getting more people to patronize QSR restaurants which truly satisfy, is for people to wake up and THINK about their decisions. Stop just giving into your children. Stop your habit of frequenting the same old spot which doesn't satisfy. Take the time and rationally consider all of your options. Make a conscious decision where to eat. Stop Buying Burgers That Don't Satisfy. 1) On October 18, The James Beard Foundation visits Boston’s Cyclorama at Boston Center for the Arts for “The Chef’s Table,” a provincial-style gala dinner featuring top culinary talent from Boston and beyond. The official kick-off event for Boston’s Taste America event, a weekend of culinary activities celebrating the Hub’s vibrant culinary scene, the evening will begin with 6:00 pm reception featuring signature cocktails and canapés created by a roster of Boston’s top chefs, including Christopher Coombs (Deuxave, Boston Chops); William Kovel (Catalyst) and Robert Sisca (Bistro du Midi). At 7:00 pm, guests will have the opportunity to sit with Boston’s favorite culinary luminaries for a lavish meal. The five-course menu will highlight the best of Boston’s culinary scene and was created for the evening by James Beard Foundation Award winners and nominees, including Taste America All-Star Michael Voltaggio (ink; Los Angeles, CA), Boston Host Chefs Lydia Shire (Scampo; Boston, MA) and Brooke Vosika (The Bristol Lounge at Four Season Hotel Boston), as well as Will Gilson (Puritan & Company; Cambridge, MA), Joanne Chang (Flour Bakery, Myers & Chang; Boston, MA) and Dante DeMagistris (Restaurant dante; Cambridge, MA). Cost: Tickets for the public are on sale now at jbftasteamerica.org. The James Beard Foundation is proud to donate a portion of the evening's proceeds to Pine Street Inn. 2) In the spirit of Kaizen, the Japanese philosophy that focuses upon continuous improvement, Chef Tony Maws welcomes the Ideas In Food chefs, bloggers, and authors Aki Kamozawa and Alexander Talbot to the Craigie On Main kitchen in celebration of their new book: Maximum Flavor: Recipes That Will Change the Way You Cook – on October 15. Celebrated industry innovators, and former Boston chefs, Aki and Alex, specialize in sharing techniques based on a solid understanding that science and technique coupled with high quality ingredients, modern equipment, and innovative approaches to cooking make anything possible. In Maximum Flavor, Aki and Alex share their innovative yet simple and often surprising approaches to food that will allow real home cooks to take their cooking to a new level. Using everyday ingredients and equipment available to real home cooks, Maximum Flavor turns theory into 125 real recipes, each containing a simple tip for amping up flavor in every day dishes. With 75 color photographs that show both step-by-step processes and finished dishes, Maximum Flavor will encourage you to experiment, taste, and play with your food, and discover again why cooking and eating are so fascinating and fun. What: A multi-course collaborative dinner event showcasing dishes by acclaimed Chef Tony Maws alongside Ideas in Food’s Aki Kamozawa and Alexander Talbot. Guests can expect a flavor-packed, tasty and forward-thinking meal with equally interesting and delicious wine pairings. Cost: $125 per person for dinner, including a copy of Maximum Flavor: Recipes That Will Change the Way You Cook. Wine pairings are available for an additional $50 per person (tax and gratuity not included). 3) On Thursday & Friday, September. 19 & 20, T.W. Food is holding a Festival de la Tomate, a joyous celebration of tomatoes. Each year, T.W. Food is given a wonderful selection of traditional and heirloom tomatoes, a perfect accompaniment to lamb, fresh goat's milk cheese and foie gras - or, in their element, among other farm vegetables. Reservations: Please call 617-864-4745 to reserve a spot. 4) Raise Your Glass for Jimmy, presented by the Jimmy Fund Council of Greater Boston, will take place in the Main Ballroom of The Liberty Hotel in Boston on September 25 from 6 to 9 p.m. Admission to the event includes hors d’oeuvres and live music. Enjoy a variety of wines with a good selection of whites and reds to appeal to all palettes. Participating wine vendors include M.S. Walker, Horizon Beverage, Plymouth Bay Winery, Federal Wine & Spirits, Gordon’s Fine Wines & Liquors and August West Wines. All proceeds support adult and pediatric cancer care and research at Dana-Farber Cancer Institute. This event will also feature a wine drawing (buy a chance for $35 and you are guaranteed a bottle of wine worth at least $25) and a silent auction with a trip to a vineyard in Sonoma, Calif., including airfare, several large format wines, a four-course chef’s tasting menu for four at Strega worth $500, and many other great items. Tickets for this event are $50 per person, and include a $25 gift certificate for Tresca, donated by Tresca restaurant, for the first 150 guests at the door. Tickets are available at www.jimmyfund.org/raise-your-glass. 5) On Tuesday, September 24, at 7pm, Fromager and Mâitre d’ Louis Risoli is hosting the next installment of Cheese Tuesday at L’Espalier, providing easy commentary, while sommelier Lauren Collins describes the wine. Cheese Tuesday combines wine and cheese in a casual night featuring a three course dinner with paired wines, followed by a grand cheese tasting and musical entertainment. Louis Risoli concludes the evening with an original, cheese inspired sing-a-long to the tune of a pop culture song. One of his renditions being: Don’t Stop Bleu Cheesin’ to the tune of Don’t Stop Believing by Journey. “Champions of the World” will feature some of the world’s most well-known and beloved cheeses from the latest American Cheese Society’s annual conference, where over 1,200 cheeses competed to be named the top cheese in the country. Louis Risoli will guide guests through a tasting experience that demonstrates why America’s greatest cheeses set world standards for excellence. This Cheese Tuesday is near and dear to Louis, as he is a perennial guest and speaker at cheese conferences nationwide and a veritable encyclopedia about worldwide cheese varietals and culinary cheese trends. The Cost is $85 person. To reserve a seat, please contact L’Espalier directly at 617-262-3023. It is nearly that time again, the time to embrace and celebrate the multitudinous marvels of Sake. On Tuesday, October 1, raise an ochoko (or wine glass) of Sake and toast Kanpai to Nihonshu no Hi, Sake Day. Thirty five years ago, in 1978, the Japan Saké Brewers Association declared that October 1 would hence forth be known as Sake Day, a holiday which is now celebrated worldwide, anywhere that Sake is drank and loved. It is much older than nearly all of the "wine grape" days which are now celebrated each year. Will you be celebrating Sake Day too? Why was October 1 chosen? First, it is partially due to the fact that October is traditionally the start of the Sake brewing season. In addition, the Chinese character for Sake (酒) is very similar to the Chinese zodiac sign for the Rooster (酉), the tenth sign. Thus, the first day of the tenth month, October, became Sake Day. If you want more information about Sake, you can start at my All About Sake page, which contains over 90 links to Sake educational articles I have written over the years, as well as lists of other Sake resources for additional reading. There are articles on basic Sake info to more detailed articles on pairing Sake with food. You can also check out my Collected Sake Reviews, covering over 125 Sakes. And if you have any Sake specific questions, feel free to drop me an email or contact me online. If you want some advice on which Sake to buy at your local wine store, please email me a picture of the Sake selection at the local shop, or send me a written list of the bottles they carry. I'll then give you suggestions based on what is available to you. Though I can provide plenty of Sake recommendations without that, what I might recommend might not be available to you. So sending me a picture or list best allows me to customize the recommendations based on what you can buy. There is another way to celebrate Sake Day which would also make me very happy. 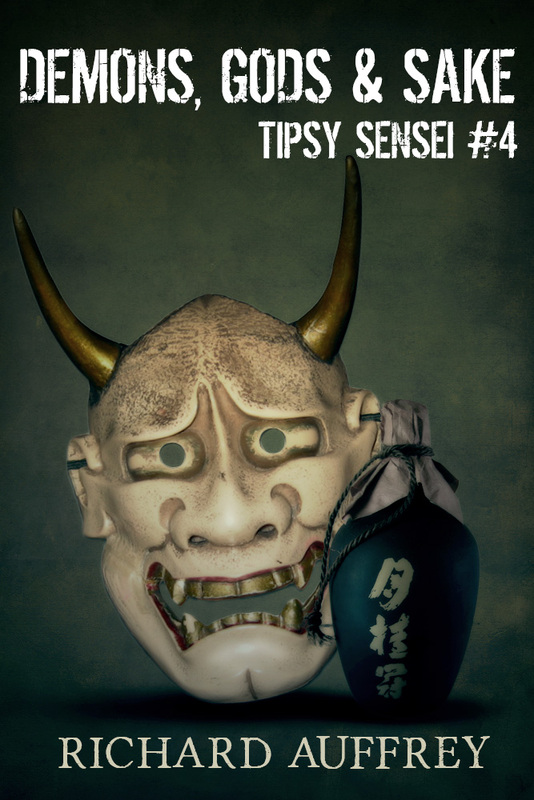 You could buy one or both of my Tipsy Sensei books, which are about a Sake expert in Boston who learns that legendary creatures out of Japanese folklore are real. 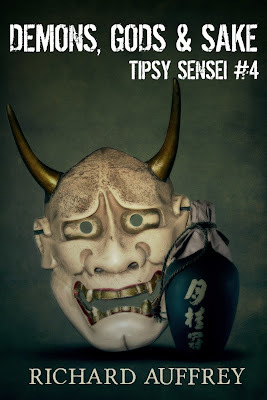 The saga starts in The Tipsy Sensei & Others, which also includes 5 unrelated food/wine short stories, and continues in Demons, Gods & Sake, the first Tipsy Sensei novel. The next novel in the series, Hand Fed Tigers, should be published in October. All of stories have received very good reviews and if you own a computer, you can read the stories through the free Kindle Apps. You do NOT need an actual Kindle to read this stories. I haven't decided yet how I will celebrate Sake Day, and I am thus still available to assist restaurants, wine shops or others with setting up a Sake Day event. If you are interested, please contact me to discuss. If nothing else, I will probably open a bottle or three of Sake, pairing it with my dinner, sharing the bottles with family and/or friends. Follow the advice of Otomo no Tabito and be wise by drinking Sake. Will you celebrate Sake Day? If so,what will you do? Maine Lobster. There is no substitute. Those of us who live in New England are a bit spoiled, having many options to find and enjoy Maine lobster, from local restaurants to food markets. We can get it in the shell, or buy just a pound of lobster meat. We can savor it in a lobster roll, lobster bisque or lobster mac n' cheese. Last weekend, I enjoyed a couple lobsters, in the shell, at an end-of-summer party in Ipswich, dipping the sweet meat in melted butter. For those outside of New England, you can still enjoy Maine lobsters, and other New England seafood favorites, by getting it shipped to you. You'll find plenty of places selling & shipping lobsters and seafood so how do you decide which company to patronize? Not an easy decision. And it won't be cheap either, especially considering shipping costs. However, enjoying a Maine lobster dinner can be such a special experience that it can be worth the cost. And importantly, what should you drink with your lobster and seafood? Champagne? White wine? Red Wine? Beer? Or maybe even Sake? Joe Bowab, the CEO of Lobster Anywhere, recently sent me some free lobster and seafood samples and my plan was to pair them with Sake, to show its advantages, as opposed to wine, when paired with seafood. Lobster Anywhere, which has been online since 1999, sells Maine lobsters, and a variety of other seafood, which can be shipped across the country. 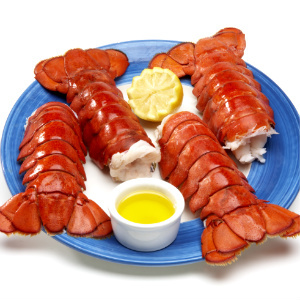 You can get lobsters in the shell, lobster meat or a number of lobster dishes, such as lobster ravioli. 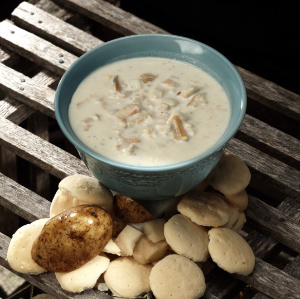 They also sell chowders and soups, crab cakes and scallops & bacon, and much more, including steaks. You can order these as individual items or as part of larger dinner packages. Prices are not cheap, but when they are compared to other, similar companies, their pricing is probably around average, with some items cheaper while others a bit more expensive. What will help differentiate these companies then is quality and service. With some online research, I found only a single complaint about LobsterAnywhere's service, and it appeared more an honest mistake than indicative of any endemic problem. I also found plenty of very positive feedback about the company which is reassuring. I received some frozen lobster tails, clam chowder & scallops wrapped in bacon. They were delivered on time, and packed well to ensure everything remained frozen. Accompanying the seafood was a small, helpful guidebook of cooking advice and recipes. The lobster tails were fresh frozen, not pre-cooked, and only needed about four minutes of steaming to be ready to eat. I kept it simple, enjoying the lobster with melted butter, though it could have been used in a variety of recipes. The clam chowder came in a 20 ounce Cryovac pouch which just needed to be heated in boiling water for 10-12 minutes. The scallops just needed to be cooked in the oven for 10-15 minutes. As you can see, preparation for these items was simple and relatively quick. As for the taste, I was satisfied and had no complaints. The lobster tasted as if it came right out of the shell, with a nice sweetness to the meat. You would never know that it had been frozen to any degree. The clam chowder was flavorful, with just the right amount of thickness, and it was certainly a chowder I would order again. The large scallops were tender and meaty, the salty bacon adding a nice component to the sweeter scallops. LobsterAnywhere showed me the quality of their products. What alcohol should you drink with seafood? White wine seems the default, and traditional, pairing choice for seafood, though plenty of people now support red wine as a valid pairing as well. However, there is a potential problem with pairing wine, especially red, with seafood and that is sometimes the wine makes your seafood have an off putting, fishy taste to it. Good seafood shouldn't possess a fishy taste and any wine that causes such a taste is a terrible pairing. Japanese researchers have determined that the iron content in some red wines is one of the culprits responsible for that fishy taste. If the iron content of your wine is more than 2 milligrams per liter, then your seafood is likely to taste fishy. The iron content depends on many factors, from the vineyard soil to conditions during fermentation but a consumer has really no way to know how much iron is in their wine, so pairing a red wine with seafood is always a risk. Scallop is one of those seafoods which is especially prone to acquiring a fishy taste, and if I had paired my scallops & bacon with a red wine, I risked a fishy taste. Though white wine generally doesn't have the same issue with iron, they also can create a fishy taste in some seafood. Sulfites in wine, both white and red, may contribute to a degradation of unsaturated fatty acids, which can also lead to that off-putting fishy taste. More study is still needed of that phenomenon, as well as determining any other reasons for why white wine sometimes creates that fishy taste. Instead of pairing seafood with wine, you might want a safer alcohol, one which possesses great diversity and taste. Like Japanese Sake. Why is Sake such a great match for seafood? Traditionally, the food that commonly accompanied Sake was known as sakana, and seafood was a major component, from raw fish to dried seafood. Historically, the Japanese people understood that seafood made for an excellent pairing with Sake. In addition, Sake is a diverse beverage, that ranges from dry to sweet, herbal to fruity, elegent to rich, and much more. That means there is a Sake that will fit any type of seafood, from oysters to crab, sea urchin to tuna. In addition, there is logic and science supporting this pairing. First, Sake possesses no sulfites, which avoids one of the potential problems that faces wines and seafood. Without those sulfites, there is much less worry of your seafood acquiring a fishy taste. Second, Sake is made from rice, where water is far more important than soil. In general, Japan's water is more soft than hard, meaning there is much less iron in their water. In addition, iron adversely affects Sake, and can turn it a reddish brown while compromising its aroma and taste. As such, Sake brewers only use water with a minuscule amount of iron, far less than the amount that would cause fishy problems like red wine. Third, Sake possesses twenty amino acids, more than any other alcohol and seven times more than red wine. Some of these amino acids help to neutralize fishy flavors in seafood, as well as gamey flavors in meat. So, Sake also takes a proactive role in reducing such off-putting flavors, something wine does not do. Not only does Sake avoid problems like sulfites and iron, it also makes an effort to reduce potential fishiness. It is important to note that cooking seafood and meat in Sake will have that same effect, to help mute fishy and gamey flavors. Sake possesses a high level of the amino acid, glumatic acid, which creates the taste of umami, that savoriness which you also find in foods like ripe tomatoes and parmesan cheese. Wine possesses glutamic acid, but to a far lesser level than Sake. In general, the wine with the highest amount of glutamic acid might, at best, reach the level of the Sake with the lowest amount of glutamic acid. Pairing Sake with other foods that possess umami can make for an excellent combination, especially if the food possesses umami from a source different from glutamic acid. Lobster contains lots of glutamic acid and scallops have a fair share as well, so they go well with Sake. Besides glutamic acid, umami can also be caused by inosinate and guanylate, two nucleotides. Thus, the pairing of Sake with foods containing inosinate or guanylate creates a synergistic effect that intensifies that umami taste, an ultra-savoriness. Tuna, mackerel and sardines all contain relatively high amounts of inosinate while shrimp and cod have significant amounts too. Smaller amounts of inosinate can also be found in snow crab, sea urchin and nori. Plus, snow crab and nori have small amounts of guanylate. They make for excellent pairings with Sake. For my seafood feast, I drank two different Sakes, both Junmai, feeling that the richness of the Sake would especially go well with the rich lobster. The Kaguyahime Junmai was produced by the Yamamoto Honke which was founded in 1677 in Kyoto. It was made with Biwaminori rice, milled to 60%, and it has a Sake Meter Value (SMV) of -2, meaning it might have a hint of sweetness. It only has an alcohol content of 14.5% and the label states the Sake even goes well with "butter sauted asparagus." This Sake is made from soft spring water called Shiragikui, which translates as "water of white chrysanthemum." This Sake is smooth and light, with subtle flavors of melon, pear and mild honey notes. It is not as rich as many other Junmai Sakes, but was still able to hold up to the lobster. It would be a nice introduction for those unfamiliar with Sake, though Sake lovers will enjoy it as well. It went well with all of the seafood, and it didn't cause any fishy tastes. I bet this would also be an excellent pairing with briny oysters. The Ichishima Junmai was produced by the Ichishima Brewery, which was founded in 1790, and is located in the Niigata Prefecture. In 1976, Ichishima became the first Sake brewery to employ licensed female toji, brew masters, though they had been employing women in other positions since 1965. It was made with a blend of Gohyakumangoku and Koshiinuki rice, milled to 65%, and it has a Sake Meter Value (SMV) of +4, meaning it tends to be dry. It has an alcohol content of 14.9% and its label states it is a great match with "richer, heavier fish, as well as sea urchin." This was a more typical Junmai, with a richer texture, though still a crisp and smooth taste. The taste was a melange of pleasant flavors, including melon and apple, with hints of smoke and minerality. This was also an excellent pairing for the seafood, and there were absolutely no problems with fishiness. The richness of this Junmai and the lobster were heavenly, and it also stood up well to the clam chowder, with its blend of spices. Another winner. When you are enjoying seafood, you should consider pairing it with Sake, which offers advantages over wine pairing. You will have a reduced chance of negative, fishy tastes and there will be an enhanced savoriness to the pairing. Don't be intimidated by Sake, and instead learn about its wonders. In the end, you will find a new favorite. Maine is a popular dining destination for seafood, especially lobster, and some exceptional restaurants can be found in Maine, in places such as Portland and Ogunquit. It also appears that Maine might be able to give Massachusetts some lessons in seafood, and not just in recipes. However, let us first consider the fact that cod is getting more difficult to find on restaurant menus, as well as more expensive. That is partially due to the recent, significant catch reductions put in place by the New England Fishery Management Council (NEFMC). Two of their cuts included a 77% reduction on the Gulf of Maine cod limits and a 61% reduction on Georges Bank cod limits. The Council based the need for these cuts on scientific evidence that assessments of these species are at record lows. What are consumers to do? As I wrote back in February, "People need to diversify their taste and embrace the less common fish available, which usually are less expensive and more sustainable." Doing this would not only help rebuild dwindling fish stocks, but would also aid fishermen who have had difficulty selling some of these less popular fish. These underutilized fish can be used to prepare a variety of tasty seafood dishes, and consumers would enjoy these fish if they only gave them a chance. Maybe we need to take an example from a number of Maine restaurants which are addressing this very issue. The Gulf of Maine Research Institute has created a program called Out Of The Blue, "...to build markets for underutilized and under-appreciated Gulf of Maine species." With nearly 40 participating restaurants and food service companies, the program consists of 10 day promotions of specific species of local seafood on their menus. In 2013, the promotions included redfish, mackerel, dogfish, whiting and pollock. The next promotion will be held September 13-22, to promote whiting. This program has even led to at least one Maine restaurant, the Inn By The Sea, to now serve only 100% Gulf of Maine seafood. This helps sustainability and local fishermen. As the U.S. imports a stunning 91% of the their seafood, any restaurant that supports only local seafood is doing a great job at supporting local fishermen and worthy of our support. I would love to see a similar program instituted in Massachusetts, to see dozens of local restaurants uniting to promote underutilized seafood in weekly promotions. It would be easy enough to do. The hardest part is the will of the restaurants to take that step, and then the will of the public to support the promotions by patronizing the restaurants and supporting the use of those fish. We already have restaurants that promote sustainable seafood, and they would be the best at organizing at promotions of these underutilized fish. So which Massachusetts restaurants are brave enough to take the first steps to such a program of weekly promotions for underutilized fish? According to the CDC, about 36% of U.S. adults are obese and as of 2010, about 23% of the people in Massachusetts are considered obese. Their definition of obesity is based on the Body Mass Index (BMI), though they acknowledge that is not a fully accurate way of assessing individuals, such as athletes. These obesity figures do not include those people who are only overweight, though that would raise the percentage significantly of those Americans who weigh too much. Each year, these figures continue to increase but why is that so? Why are so many putting on extra pounds? We think we understand the reasons but is that really the case? Could we be looking at all of this in the wrong way? That might very well be the case. Scientific American recently published a special Food Issue (September 2013), which contains nine fascinating articles about food related issues, from How (and Why) To Eat Invasive Species by Chef Bun Lai to The First Cookout, an interview with Richard Wrangham. Two of the articles dealt with issues of weight gain, offering interesting takes on what is often considered "common knowledge." We need to start looking at some of our treasured beliefs, to reassess what we think, and hopefully find a better path to weight loss. The first thing we need to do is to reconsider the calorie, understanding that the calorie counts on food labels are not accurate indicators of the amount of calories an individual will receive. Rob Dunn, a biologist at North Carolina State University, penned an article, Everything You Know About Calories Is Wrong, explaining the problems of calorie counts. Calorie determination is based on a 19th century system that uses averages, ignoring numerous important factors such as the effects of digestion and cooking. Dunn states: "To accurately calculate the total calories that someone gets out of a given food, you would have to take into account a dizzying array of factors, including whether that food has evolved to survive digestion; how boiling, baking, microwaving or flambeing a food changes its structure and chemistry; how much energy the body expends to break down different kinds of food; and the extent to which the billions of bacteria in the gut aid human digestion and, conversely, steal some calories for themselves." (p.58) What that means is that two individuals, eating the same amount of calories, will not incur the same amount of calories, so that one person might lose weight while the other might not. For example, cooking food allows a person to obtain more of the calories in that food than you would if the food was raw. So if two people consumed 2000 calories of food, and one person cooked all his food while the other ate all his raw, the person with the raw food would actually take in less calories. The type of food matters as well. For example, nuts generally are less completely digested than some other foods, meaning you get less calories from them. In addition, each individual is different in their biological make-up, meaning they will take in more or less calories than another person. What that all means is that a diet that merely counts calories is overly simplistic and potentially doomed to failure. It would explain the frustration some dieters have when seeing others lose weight, on similar amounts of calories, which they can't seem to lose. People need more education about calories, to understand that label calorie counts are probably closer to suggestions than actual facts. At best, those calorie counts might stand as a potential maximum amount that can be derived. All this discussion of calories though is based on the theory that weight gain is due to an imbalance between calories consumed and calories expended. In short, if you eat too much, ingest too many calories, or are too sedentary, exercising little, then you will gain weight. Most people accept this as a given, yet it hasn't prevented more and more people each year gaining excess weight nor has it prevented an increase in metabolic disorders like Type 2 Diabetes. Why is that so if we know exactly what causes weight gain? Gary Taubes, co-founder of the Nutrition Science Initiative, in his article Which One Will Make You Fat?, poses an alternative theory of weight gain. He notes that the calorie theory actually never was based on proper scientific studies, being accepted more as a given. It sounds like a logical theory but even those should receive empirical proof of their validity. Gary offers another potential theory, which he believes deserves to be investigated, and which a few scientists have now started to address in new studies. Rather than being due to an energy imbalance, weight gain could be instead due to a hormonal defect, with the primary offender being carbohydrates. The science is interesting. The carbohydrate glucose causes the pancreas to secrete insulin, to prevent glucose levels from being too high. The insulin causes some of that glucose to be stored as fat for some future use, which means that if insulin levels remain high, then you gain more and more fat. By avoiding or limiting carbohydrates, you prevent this fat storage from occurring, and that might be the best way to avoid gaining weight. So worrying about calorie intake might not be as important, as where those calories come from. More scientific studies are needed to resolve this conundrum, but just the fact that we are questioning "common knowledge," which never actually was proven, is a major step forward. If you are having trouble losing weight, and you believe you are doing everything right, then it is time to reconsider the basis of your beliefs. 1) With the best Spanish wine list in the Boston area, Taberna de Haro now carries 325 wines, including 45 Sherries. And now they are holding the "The Quintessential Wine Tasting" on Wednesday, September 18, at 7pm. Kerin Auth of Olé Imports will come and lead a tasting of seven different wines. Kerin has made over 30 trips to Spain and even lived in Sevilla for a year. During the last seven years of her career, she owned and operated Tinto Fino, a wine shop in Manhattan dedicated to selling Spanish wines exclusively. Now shuttered, I was a big fan of that wine shop. Kerin represents a portfolio within the company called "Península" which has a highly allocated selection of wines. That simply means "rare and special." Only 52 establishments around the country are allowed to buy wine from this unique collection, and Taberna de Haro is one of them. Chef Hansen calls this "Quintessential" because you will experience some of Spain's most important grapes - in their very purest form. All the winemakers in this portfolio are crazily committed to a clarity of expression, and they see no boundaries in attaining this. The infamous Raul Perez is represented here, as is Antonio Barbadillo of Sanlucar de Barrameda (Jerez) fame. Here is the list of wines we'll taste and there will likely be an extra surprise wine or two. The cost is $50 per person (plus tax & gratuity) and Chef Hansen is working on the menu, It will include food pairings both classic and innovative. For Reservations, email deborah@tabernaboston.com or call 617-277-8272. Last Glass: 2011 Vallebelbo, Moscato d' Asti, a sweet indulgent treat to finish. 3) On Thursday, September 19, The Beehive gets undressed during Diamonds and Pearls, a sultry burlesque performance in partnership with Moët & Chandon and Domaine Chandon. From 9pm-1am, one of New York City’s busiest burlesque performers Calamity Chang, also known as “The Asian Sexsation,” will be joined by the “Go-Go Pussycat,” Lil’ Steph and quintessential pin-up queen Bettina May for a mid-week break proving that you don’t have to be dressed to impress. The tantalizing beauties will take the stage at 9pm as DEFTrio, a groovin’ jazz trio heats up The Beehive for a night of classic burlesque. Guests are encouraged to make it “dinner and a show” as Executive Chef Rebecca Newell serves her eclectic fare and delicious dishes from The Beehive’s menu from 5pm-2am. All evening show-goers can sip on bubbly from sponsors Moët & Chandon and Domaine Chandon, and toast the night out with a special champagne cocktail! 4) It is time for the 8th annual Heirloom Tomato Festival at Bistro 5 in Medford. From September 10-28, you can enjoy a Special 3 or 5 Course Tasting Menu, with or without wine pairings, which features a variety of heirloom tomatoes. I attended last year's Tomato dinner and it was certainly a delicious and compelling event. I hope to attend again this year and strongly urge my readers to go as well. "Fresh ingredients--especially heirlooms--packed with flavors are the hallmark of great cuisine." The quality of your ingredients is a vital factor in the quality of your final dish. Hybrid fruits and vegetables, the usual produce you find at large supermarkets, were bred for uniform size, resistance to disease, and a longer shelf life. However, they generally were not bred for taste, and don't taste as good or as complex as an heirloom variety. This is a similar situation to heirloom breeds of animals, such as Mangalitsa pigs to Blue Andalusian chickens. Heirloom varieties are starting to become more available at grocery stores, or you could even grow your own, with a little advice for Doreen Howard. Howard has written Heirloom Flavor: Yesterday's Best-Tasting Vegetables, Fruits, and Herbs for Today's Cook (Cool Springs Press, September 2003, $24.99), a trade paperback of 256 pages. The fascinating book is a blend of recipes, heirloom descriptions & history, and gardening tips. Doreen Howard is a former garden editor at Woman's Day and the gardening columnist at the Christian Science Monitor. It is also said that "she's grown, enjoyed and photographed nearly 300 heirloom edibles." "Heirlooms also offer colors, shapes, textures, and perfumes not found in hybrids, which have lost those traits by growers who bred them out in exchange for uniformity of size and a long, shelf life." The book is broken down into five sections: Vegetables, Fruits, Herbs & Edible Flowers, In The Market & In The Garden, Seed & Farmers' Market Resources. In the introductory pages, Howard describes how heirlooms taste better, are safer from food-borne diseases, maintain diversity and can be less expensive than planting hybrids. The first three sections of the book discuss a variety of heirlooms, though it is not intended to be a comprehensive list. With each basic vegetable or fruit, there is some history and background, cooking advice, two to three recipes, and then colorful photos of numerous heirloom varieties. The Vegetable section occupies about 70% of the book while the Fruit section only discusses apples, pears and Asian pears, although melons are covered in the Vegetable section. Heirlooms can possess intriguing and fun names such as Dragon's Tongue beans, Purple Dragon carrots, Bloody Butcher corn, Tennis Ball lettuce, Georgia Rattlesnake melons, Dwarf Telephone peas, Fish peppers, Long Island Cheese pumpkins, Nebraska Wedding tomatoes, and Sheep's Nose apples. They even sound better than hybrids. Besides basic cooking advice for the heirlooms, the book also contains over 40 recipes, most which are fairly simple to prepare. "Heirlooms are not only luscious in taste and appearance, but many have histories richer than some countries." The In The Market & In The Garden section begins with a description of what to look for when buying produce at your local market. For example, when selecting a pear, press at the neck near the stem. If the skin gives a little, then it should be mature and sweet. Then, the section produces , suggestions and advice on growing your own heirloom vegetables and fruit, even if you only have a small area available for growing. As many heirlooms are not readily available at your local market, growing your own might be one of the only ways you get to taste their heirlooms. And buying heirloom seeds is much easier than finding the actual fruit and vegetables at the store. There is even advice on saving your own seeds, which you can trade with others. The final section, Seed & Farmers' Market Resources, provides two pages of links of Sources for Seeds, Sources of Fruit Trees & Plants, Seed Saving Exchanges and more. "Each heirloom, from an Alpine strawberry to Blue Lake pole bean, possesses a distilled intense essence layered with nuances you won't get from a hybrid." Visually, the book is compelling with numerous photos of a wide range of heirlooms, allowing you to identify them if you see them at a local market. The book is filled with plenty of practical information too, from cooking to gardening. My only complaint is that I would have liked to see more fruit represented in this book. The book will open your eyes to the vast diversity which often eludes people because large corporations chose to champion uniform hybrids, sacrificing flavor, rather than heirloom varieties. If you have any interest in heirlooms, which you should, then I recommend you check out this book.